How to Prepare for Power Outage in Winter Storm? >> How to Prepare for Power Outage in Winter Storm? Power outage during a winter storm is a common incident. There’s nothing to like about a blackout unless you enjoy flashlight dinners. Now, the bad news is, you can’t prevent a power failure. Again, the good news is; you can make it more bearable by taking some measures prior to the event. Well, you are in luck. Today I have decided to detail the steps that you can follow to prepare for a power blackout during the winter. Foods will be hard to come by during the storm. Hence, you will need to pile up foods for at least 3-4 days. Get foods that don't require refrigeration and cooking. Canned meat, vegetables, fish, juices are suitable for this sort of situation. But turn to non-perishable foods only when you have finished the perishable foods. Unless you are a nomad, you will find it exceedingly difficult to cope without water. For it's possible that the pipes will freeze in winter and leave you with without water. Fortunately, with proper preparation, you can avoid such dreadful scenarios. Hence, fill as many water containers as you can, and store them in your refrigerator. It’s highly likely that most of the drug stores will be closed during the winter storm. Therefore, you should reserve the supplies of drugs that you or any members of your family need regularly. If you have a fireplace at your house, make sure that is in a fine and working condition. You will like to stockpile dry firewood and kindling to make sure that your family doesn't suffer from cold during the storms. A propane/kerosene heater would be an apt option as an alternative heat source for indoor use. In the absence of power and daylight, the flashlight becomes you sun (or moon). Thus, you'd better buy a fine flashlight that you deem suitable for the situation and up to the task. Don't forget to buy extra batteries for the flashlight. Infants and aged people need special care. If you have a child at home, then get baby food, diapers, bottles, medicines and other essential things before the storm. You will also have to give special care to the elderly people's needs as they might require insulin, prescription drugs or other supplies. In the event of a power outage, it won't be possible to charge your mobile phone. A power outage without a cell phone will be insufferable, as you will lose all contact with the outside world. However, a portable power outlet can be of help in this case, as you can charge your cell phone and other small electronics with the device. Contact your power company before a power outage occurs. Ask them about the procedures they follow when there’s a residential power blackout and their approach towards the victims. They might put you on a priority list if you have important medical devices that run on electricity. In case, there's a power outage for an extended period, you will want to keep an eye(or ear) on the local news for the developments of the storm. Your cell might become useless in such cases, as Smartphone’s such as iPhone and Samsung are famous for draining charge rapidly. However, a battery-powered radio can come in handy in such situation to get updates on the latest developments. It's not very unusual for one to get injured during a blackout. Thus, you should get a first aid kit and get familiar with its contents so that you can treat any minor injuries suffered during the power loss. Your first aid kit should include bandages, scissors, burn and antibiotic ointment, salines, anti-diarrhea pills and analgesic drugs. You'd be surprised to know that each year around 430 Americans loses their lives due to unintentional carbon monoxide poisoning. Deaths related to carbon monoxide are at its peak during the winter season. Carbon monoxide poisoning is caused by alternate heat, food and power sources which are used indoors during the blackout. 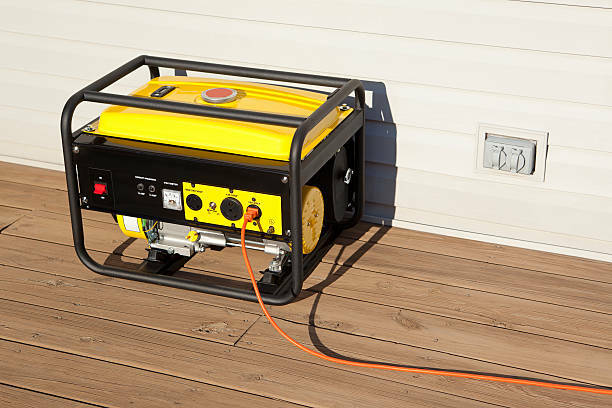 Thus, never use generators, camp stove or grill inside the house. You should at least keep them twenty meters away from doors, vents, and windows. However, to be on the safe side, you should install a battery-powered carbon monoxide alert. A carbon monoxide alert can be instrumental in preventing you or your family members from being exposed to deadly carbon monoxide gas. There's no good in brooding over the fact you are locked up in your own house for the next couple of days. Instead, you should try to make the best use of your time and enjoy as much as the situation allows. You can buy some books from your favourite genre to read (only in the daylight) or get some board games and cards. They will keep you entertained (hopefully). Storms are a pretty common sight during the winter. To make matters worse, they are often accompanied by a power outage. In order to survive such terrible conditions, it's vital that you take necessary preparation. Thus, prepare well and you will ride out the storms with relative ease.